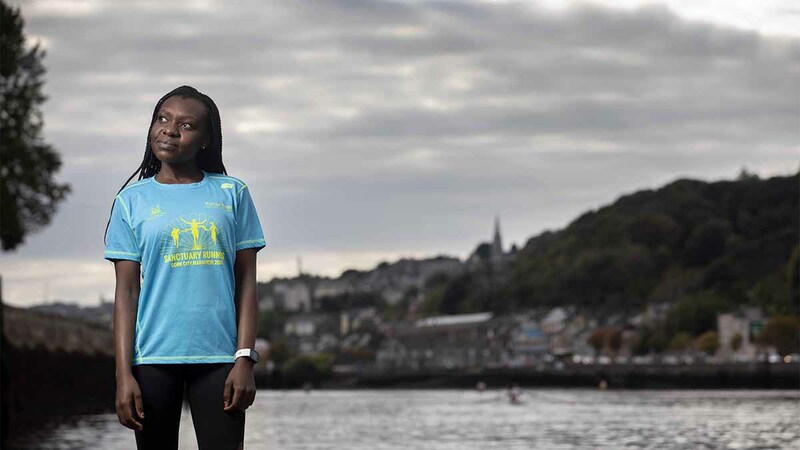 Sibusisiwe Busie Mhlophe of Cork Sanctuary Runners pictured at the Marina Cork City Centre near where she runs with her club Togher AC. When Sibusisiwe “Busie” Mhlophe arrived in Ireland from Zimbabwe, she felt isolated and anxious. “I didn’t know anyone or have family anywhere in Europe. It was so depressing staying in the room the whole day with nothing to do,” she said. She didn’t picture herself running in road races with new Irish friends, but that’s what happened after she decided to go for a run with a group called the Sanctuary Runners. Mhlophe discovered a running talent she didn’t know she had. She was a netball player in high school in Gwanda, Zimbabwe, but not a runner. Now, she has run a few half marathons and hopes to run a full marathon next. Running also lowered her high blood pressure. “(Running) makes me believe in life again, it keeps me going, and it relieves my stress,” she said. Through Sanctuary Runners, Irish locals are lacing up their running shoes and hitting the streets along with refugees and asylum seekers. They get to know each other as people — fellow human beings out for a run and maybe grabbing a cup of coffee together afterward — and shed whatever preconceived notions they might have had about each other. When immigration gets covered in the news, it’s often negative, said Graham Clifford, a journalist who established the Sanctuary Runners with photographer Clare Keogh in Cork in February 2018. Clifford had spent time reporting from refugee camps in northern Africa and had covered issues related to asylum seekers in Ireland. He started running a few years ago, and in the middle of a 10-mile race early last year, “the idea kind of came to me of putting the two things together—the running, and creating a bridge between people in everyday Irish society and asylum seekers and refugees,” he said. In Ireland and other countries that host refugees and asylum seekers, the locals often don’t know how they might go about sitting down and chatting with one of them, he explained. “I wanted to show that it was very easy,” he said. In the past year, the group has grown to include about 750 people across Cork, Dublin, Limerick, Kerry, Waterford and Galway. Clifford expects to reach 1,000 members soon. “In Ireland, people are slow to start things, but fast to roll in behind things,” he said. 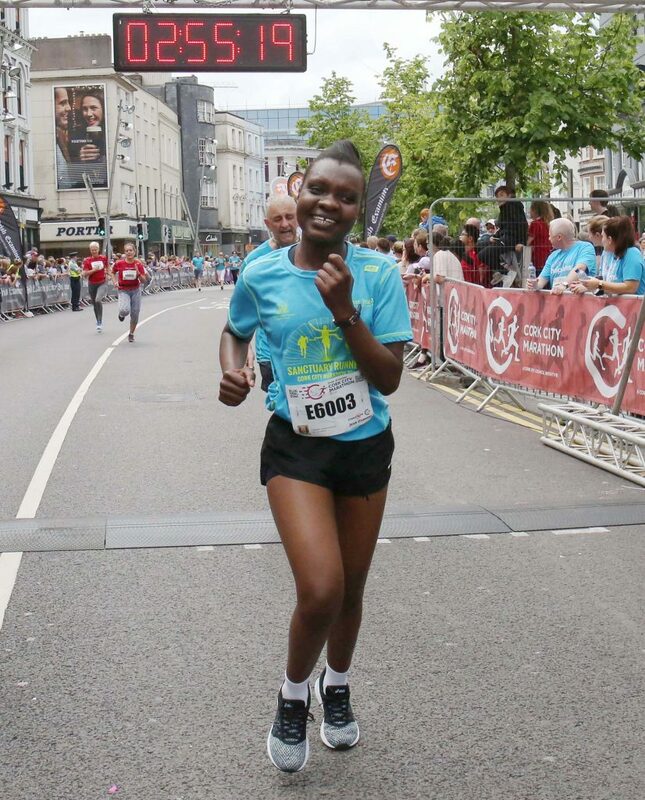 In the Cork City Marathon in June 2018, the Sanctuary Runners team included 200 people, representing 40 nationalities. First, the Sanctuary Runners gained the support of the Cork City Council. “They saw the merits in it. It ticked a lot of boxes: social inclusion, diversity and healthy city,” Clifford said. 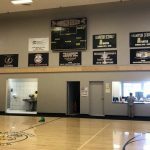 The model is simple: Volunteers run the program. 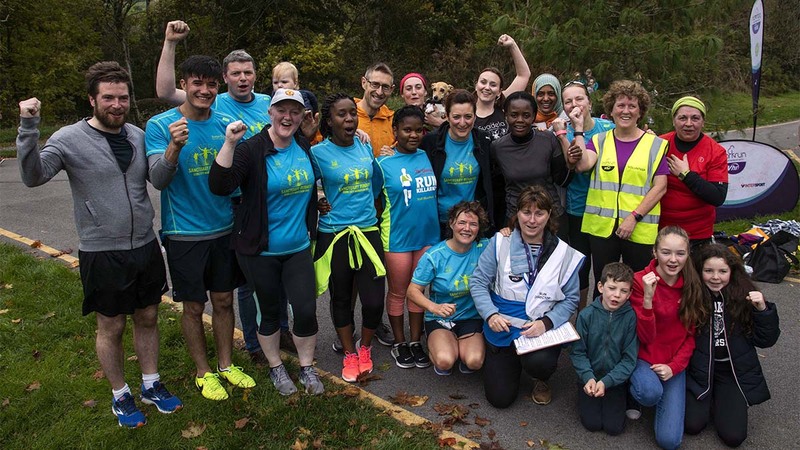 Irish citizens (those living permanently in Ireland), refugees and asylum seekers of various running abilities sign up and receive a blue running top. They run together regularly, and they race together if they want to. They recruit participants living in direct provision, the system that houses asylum seekers in Ireland as they await a decision about their asylum application. Some of the participants from direct provision were skeptical at first. The Sanctuary Runners is not a charity — they accept donations to cover the running tops, but they do not fundraise. If runners need gear other than the running top, the group turns to local running clubs for donated shoes and clothes. 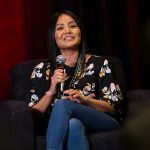 “The whole point is that it is not about charity, and it’s not about sympathy, and it’s not about pity — it’s about equality and humanity and solidarity,” Clifford said. Why running and not some other activity to bring people together? And if someone’s motivating you to finish a race, you don’t care about their legal status or any other difference between you and them, Clifford said. Exercise yields several mental and physical benefits, especially for people who have been displaced from their homes and have suffered trauma. Once some of the direct provision participants started running, “they would come back and say, ‘Actually, I’m sleeping a lot better, my blood pressure is down, I’m much more motivated to take up a course or something, and I’ve more energy, so I can get out of bed,’” Clifford said. 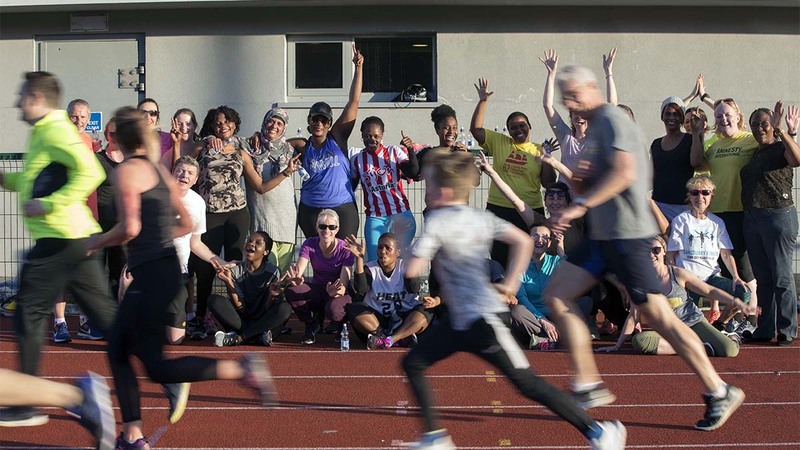 Many of the Sanctuary Runners — both from Ireland and from direct provision — are new to running. Of the direct provision runners, men from sub-Saharan African countries are typically the only ones who have run before. Speed is not the group’s focus, but some Sanctuary Runners have surprised themselves with their running progress, and they keep clocking personal bests. Mhlophe is one of them. 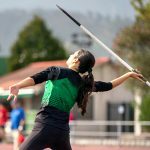 She has joined another running club, Togher Athletics Club, and they have become family to her. Sanctuary Runners run in local park runs — casual neighborhood runs — as well as more structured 10 kilometers, 10-mile races, half marathons and marathons, which some runners enter as relay teams. Residents pay entry fees, but race organizers offer free entry to runners from direct provision. The group has about 10 races planned in the next few months. The Irish participants bring along their friends from all walks of life. Many of them probably wouldn’t normally get involved in working with asylum seekers or refugees — “maybe because it’s a bit political,” or they’re suspicious of asylum seekers, Clifford said. But, when they see that the program is simply focused on solidarity and running, that apprehension fades. And negative stereotypes go both ways. She added that some of them didn’t know anything about direct provision until they asked her about it, and she explained what the system is like. Mhlophe pointed out that people seeking refuge in Ireland also bring different talents with them. She volunteers with the charity Feed Cork, packing food for the homeless. Clifford points to Irish history as an example of why a person’s legal status shouldn’t define them. In the mid-1800s, more than a million Irish people left, fleeing famine. Clifford hopes the Sanctuary Runners model will be replicated elsewhere. So far, the organization has received inquiries from people in San Diego, the United Kingdom and Italy. “It changed my life,” Mhlophe said. Allison Torres Burtka is a freelance writer and editor based in metro Detroit. You can read more of her work here.